Preschool is such a critical time in your child's development. Study after study indicates that a good preschool can have a longlasting impact on your child's future academic success, as well as their adult lives. I receive a steady stream of emails and messages asking me about how to preschool at home. So, of course, you can find many posts here on MommyMaestra about the importance of preschool and how to give your child a quality preschool education at home. I'm ALWAYS happy to discover new, EFFECTIVE products that help parents and caregivers who are homeschooling their preschoolers. And today's resource is just that! When Mrs. Wordsmith reached out to me to ask if I would review their new reading tool for students, I immediately said, "YES!" And I'm so glad I did because I love the program. Mrs. Wordsmith is designed to improve your child's learning and memory through various programs. It's based out of the UK, but they launched here in the U.S. at the beginning of the summer. 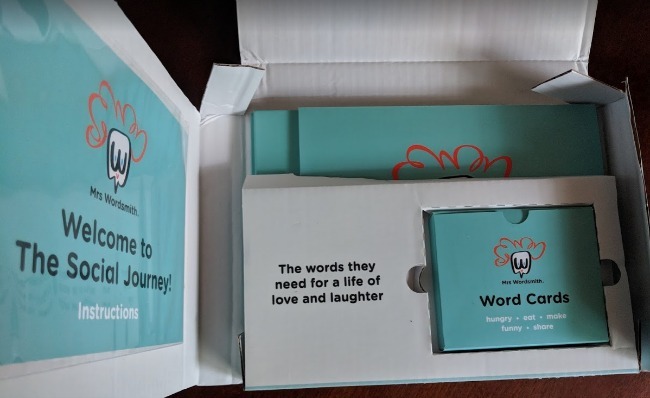 I received their Social Journey vocabulary program, and love both the concept and the application of this learning tool. It is designed for kids 3 - 6 years old and the focus is social-emotional skills, which are extremely valuable to your child's growth and success in life. Teaching your child these skills ensures that they are "school ready" by the time they start kindergarten. When children learn vocabulary to accurately identify their feelings, they are better able to manage them. Likewise, labeling and discussing concepts like "community" empowers children to more ably engage with their world (Elias 2014). Each month, a new box will arrive at your door and the activities will focus on a different aspect of the social-emotional skill set. For example, learning growth-words such as push, try and effort, helps children understand their actions and feelings. I love how the inside of the box is carefully organized to make sense for the parent/caregiver. There is no guesswork here. You'll find an instruction booklet immediately upon opening the box - but really, the process is quite simple. You start with the picture book and read at your own pace. Each story introduces the new words your child will focus on learning. Then you set up your activity book stand and place the activity book on it and open to the first word. You've probably read on MommyMaestra more than once about how creating a print-rich environment for children is crucial for developing their literacy skills. Well, here's an example of how to create a print-rich environment: place words on display in your home! Put your stand in an accessible place where your child can see it throughout the day and look at it at his or her leisure. Each month has around 20 words for you to teach your little one. 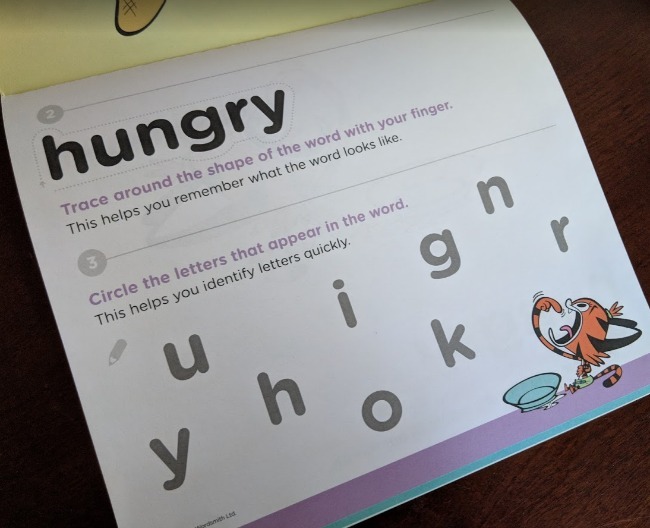 You can just take your time, letting the new word hang on the book stand for a while before tearing it off and completing the activity on the back. Give it time to soak in. 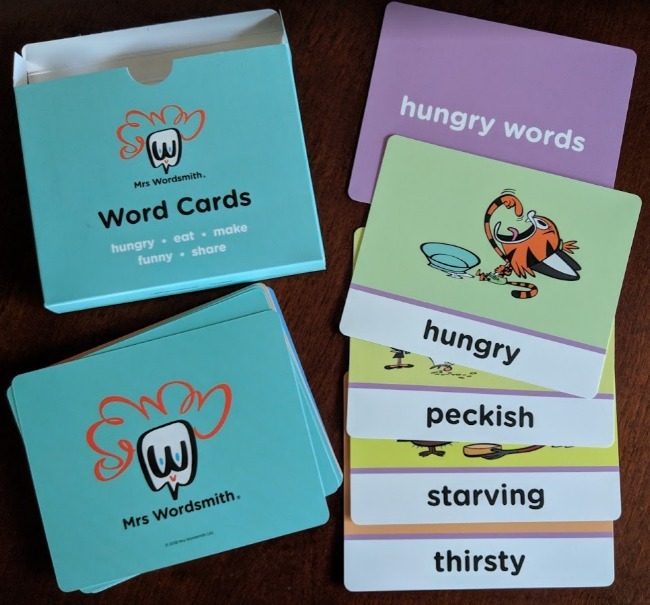 And, finally, there are the word cards which you can use to play games with your child in order to reinforce their meaning. What a great product!! I can't wait to use it with my youngest child as soon as he is old enough. 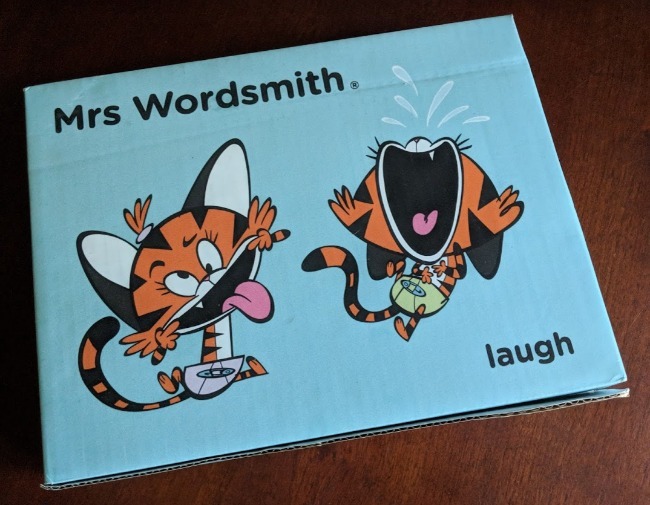 Mrs. Wordsmith has graciously offered a 12-month subscription to their Social Journey product to one (1) MommyMaestra reader! 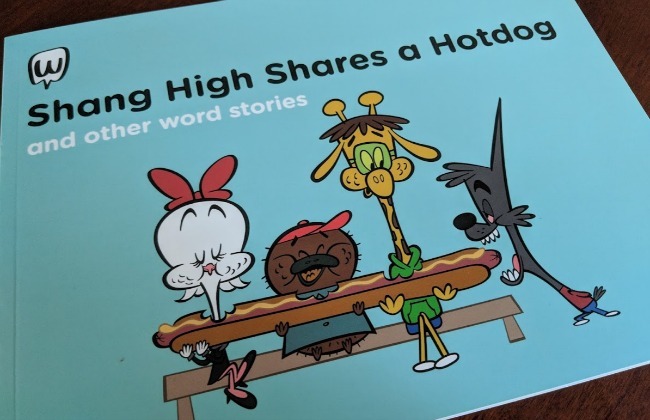 If you are caring for a preschooler this school year, this would be a must-have for your lesson plans. Disclosure: I received a sample box for review purposes. All thought and opinions are my own. Thank you for introducing great products. I am on the fence about sending my four year old to a school because he is allergic to peanuts, tree nuts, all nuts :/ I worry I have not prepared him to communicate his feelings or symptoms...but I'm hopeful, as he is not the first child with allergies but he is mine first. Any help with identifying feelings and expressing them in his situation is the key to keeping him safe and giving me peace of mind. I will be homeschooling my preschooler this year. I think this resource will be very helpful.